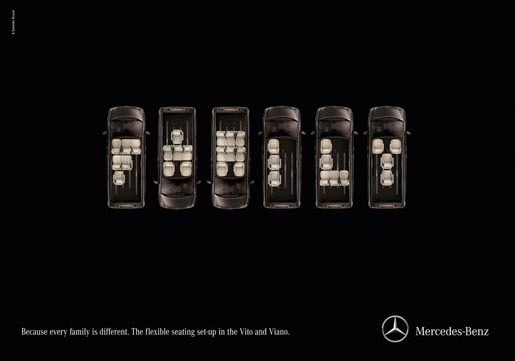 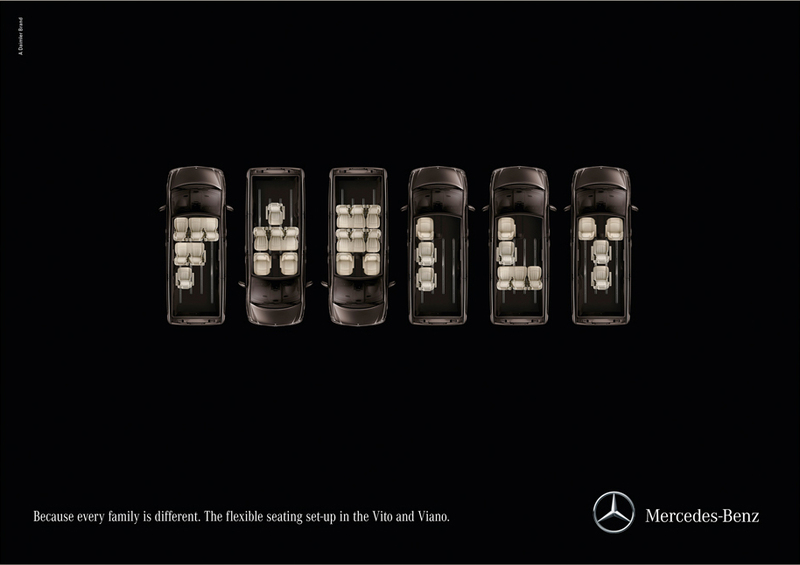 Mercedes Benz Viano and Vito vans were presented as the flexible option for business, family, sports and leisure in “Typography”, an outdoor, print, press and live advertising campaign recognised with Gold Press Lion at 2012 Cannes International Festival of Creativity. A full typographical alphabet, including punctuation marks and the numbers 0 to 9, was generated from different seat configurations. 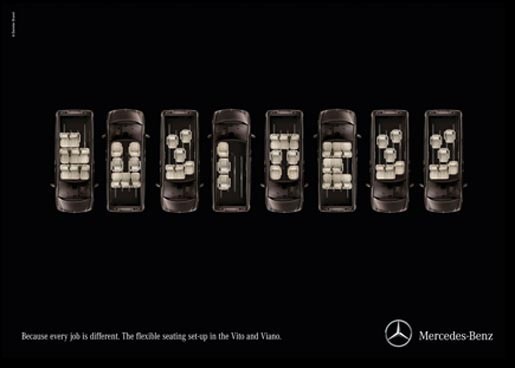 The Seat Typography campaign was rolled out in billboards, magazines, newspapers and live as a digital clock on motion billboards. 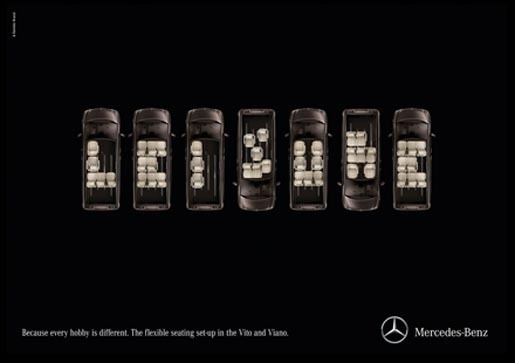 The Mercedes Seat Typography campaign was developed at Lukas Lindemann Rosinski, Hamburg, by chief creative officers Arno Lindemann and Bernhard Lukas, creative directors Markus Kremer and Thomas Heyen, copywriters Jan Hoffmeister and Tim Esser, art director Sön Becker, interactive designer David Soukup, and account manager Jascha Oevermann. 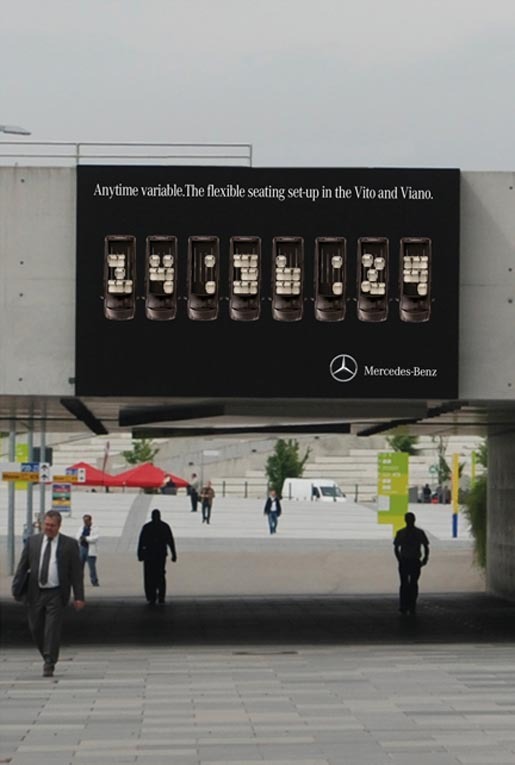 Live billboards were produced by Karen Jaeger at NovaLux, Ticino, Switzerland. 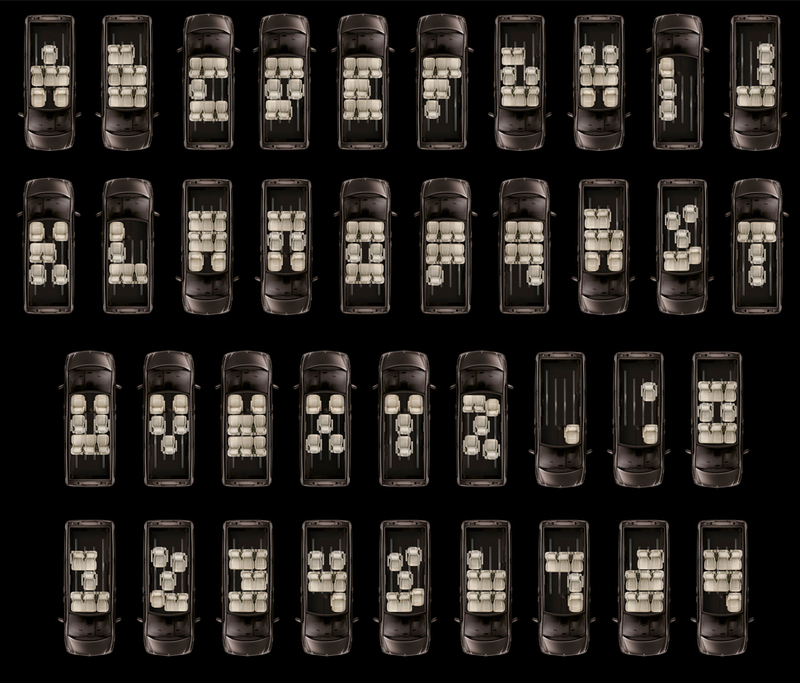 Post production was done by Daniela Steinbeck at Appel Grafik, Hamburg.